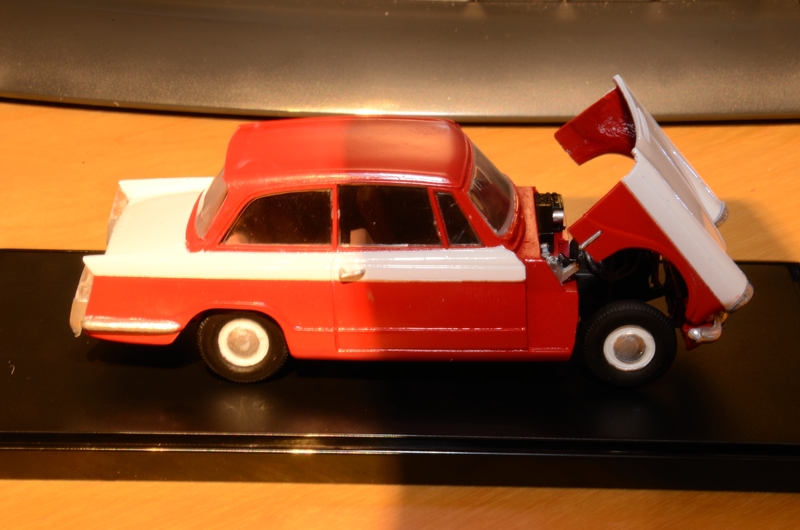 Tel left behind some DF Greive models that needed finishing as well as an unfinished Airfix kit of a Triumph Herald. I thought that I would finish off what he started and put them in the display case with the rest of the models that he completed. I deliberately did not redo or change anything that he’s done, I just finished it off. 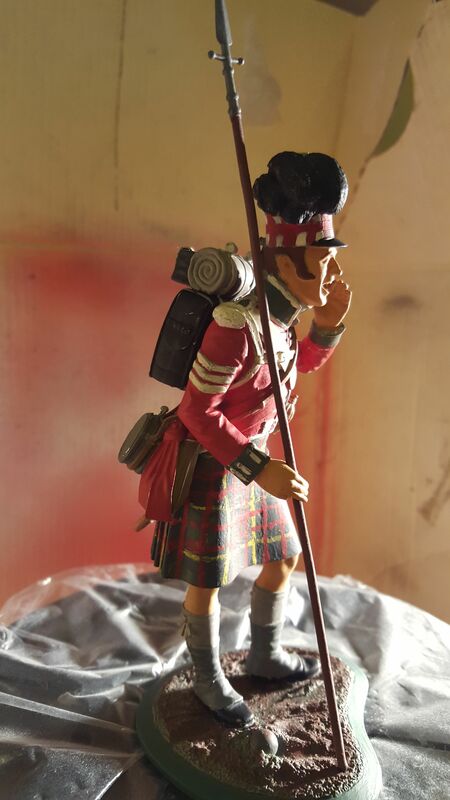 This is the metal and resin figure of a Sergeant in the Sutherland Highlanders a the battle of Waterloo. 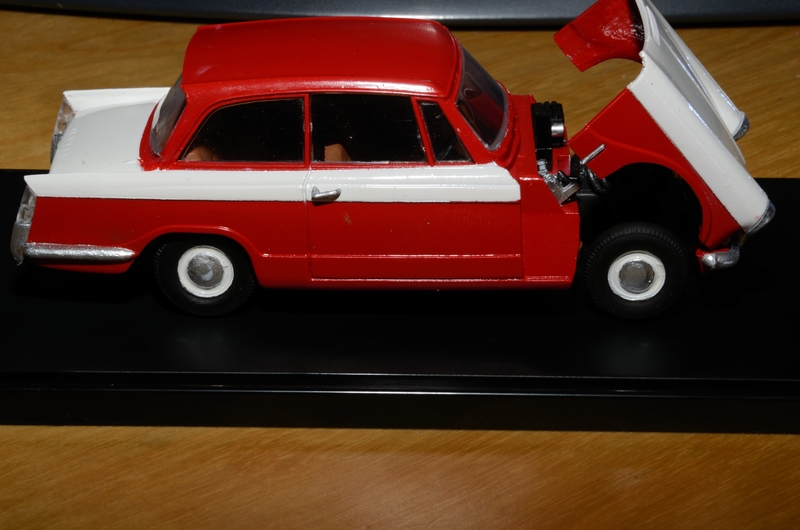 The top one is done by a professional modeller, the one below is the one we did. I touched it up a bit, painted the base and the pike, apart from that its all Tel’s work. 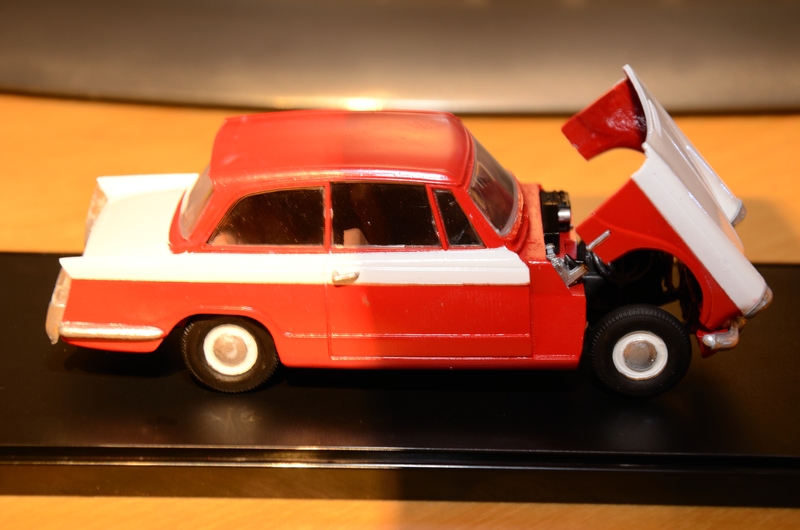 This is the Triumph Herald (for those of you that are not professional modellers and don’t know the difference between a foot soldier from the 19th Century, and a red and white car from the 1970’s…..). This one I did a bit more to, Tel had glued the bonnet in place so the first thing was to un-glue the bonnet and fit the engine. Not sure how he was planning on installing this at a later date, I expect he had a cunning plan. 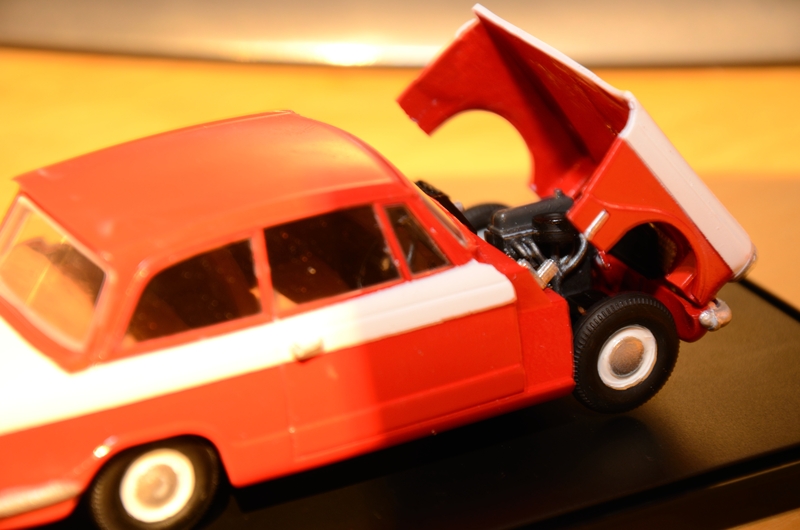 I then sprayed the body and basically put the rest of the car together. This was a fairly cheap Airfix kit. I spent more time filing and filling than spraying and gluing…. I then bought a nice new perspex case to mount the car in and then the proposal is to give it to Sonia, Tel’s partner, at an opportune moment.